A while back ago I volunteered at Gygi again. I have already written about this awesome store before, but I have to say again, if you live in Salt Lake City area, they have such fun cooking classes and they are the warmest and sweetest people! The Chef for this night's class was Kim Warren, and many yummy foods were cooked! 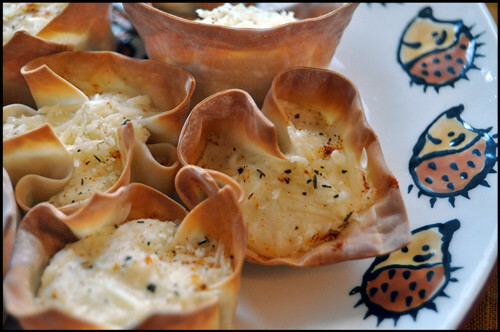 Roasted asparagus, Hollandaise sauce, Italian style chicken Cordon Bleu, Filet Mignon...but my favorite was the simple but genius appetizer, warm artichoke and parmesan filled Wonton cups. Kim is a really cool and relaxed person so it was fun to work with her. 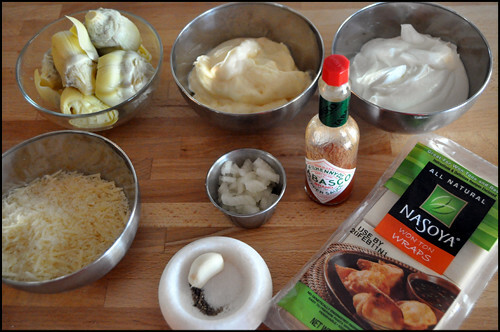 For me a huge plus was that I basically got to make this appetizer. She was around the whole time, available for questions, but I love that she had faith in us to really do stuff. At one point I thought I over-salted them, but she was so cool and calm about it, it helped me not to freak out. I thought I just messed up the whole appetizer for a huge and important group of people! But, in the end they turned out perfect. I tend to overreact. I am not overreacting though, when I say these are awesome. 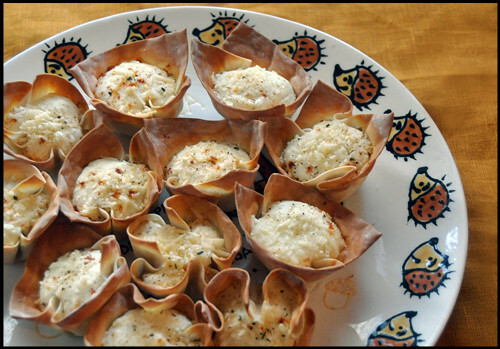 And one more great thing, I tried making them with crab meat instead of artichoke hearts, yum! 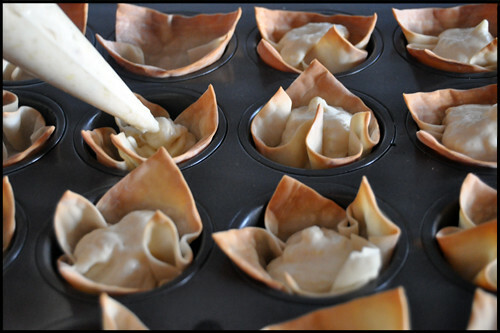 Place one wonton skin in each cup of 2 mini muffin pans and gently press to form a cup. Bake 5-7 minutes until just starting to turn pale golden color. Remove from oven and alow to cool a bit. In a food processor with steel blade attached combine your ingredients. 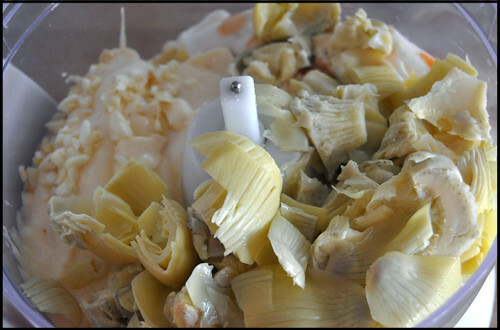 Process on pulse setting until combined but small chunks of artichoke remain. 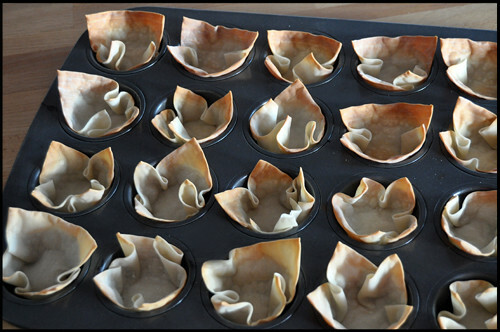 Spoon about 1 T. of mixture into each wonton cup then top with more freshly grated parmesan cheese. Return to the oven and bake until cups turn nicely golden brown and warmed through. Carefully remove to serving platter and serve warm at room temperature. How smart! 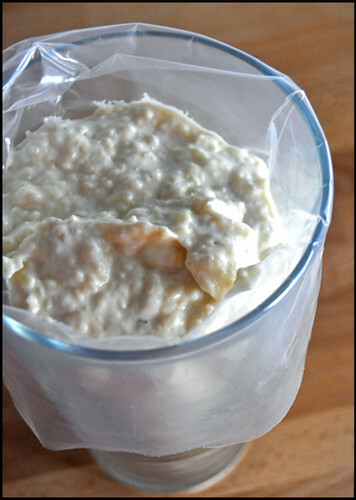 Artichoke dip all wrapped up! I usually fill my wonton cups with salsa. I'll give this a try for my next house party. Thank you for creating this. Thank you, when I tried it I really loved it so I had to try and make it myself! I was wondering if you could post your actual recipe for this please? The link didn't work for me. Hi, I actually didn't post this recipe on here as a courtesy to chef Kim Warren, I am sorry it's a little more complicated than usual and the link didn't work for you, but I would be more than happy to e-mail it to you if you leave me your address! I just pinned this, I have to make these! Hi! Please send me the recipe: fourfreaks4 at yahoo (dot) com Thank you! !